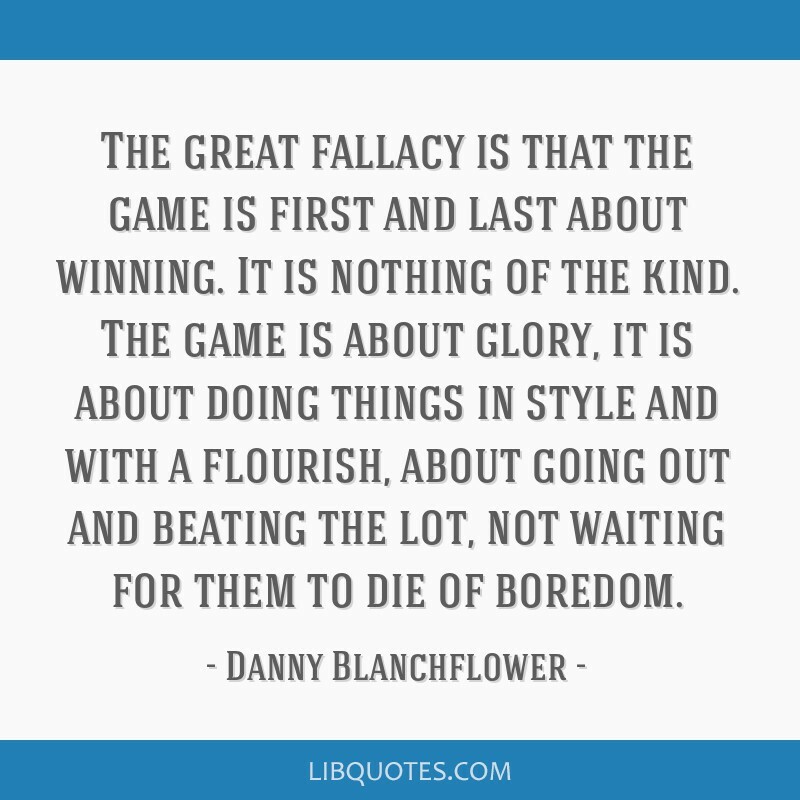 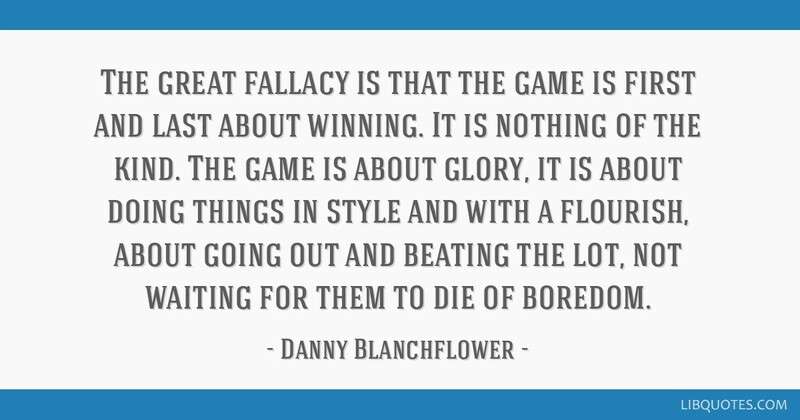 The great fallacy is that the game is first and last about winning. 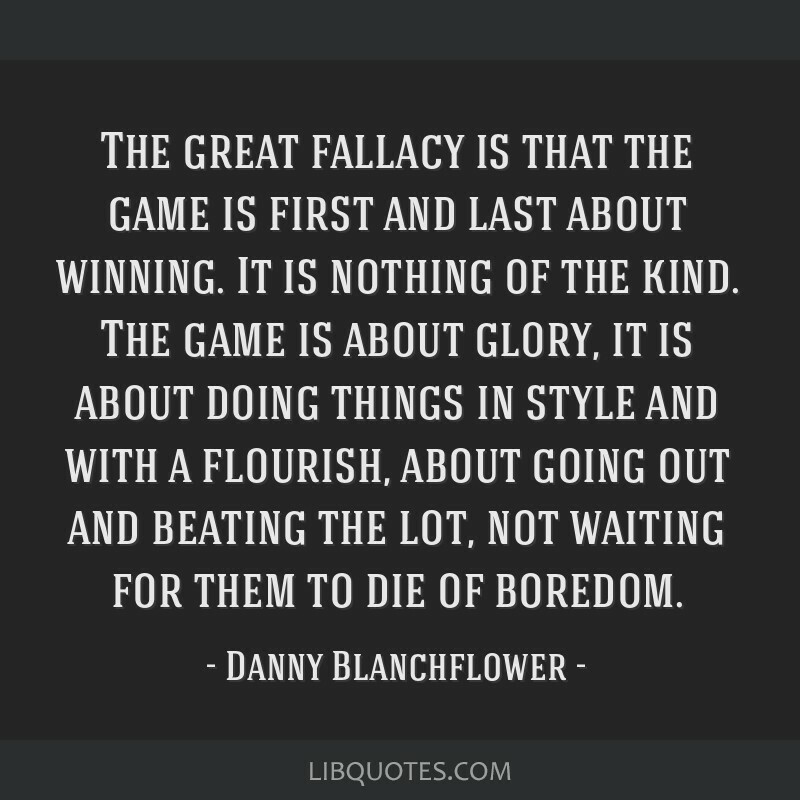 It is nothing of the kind. 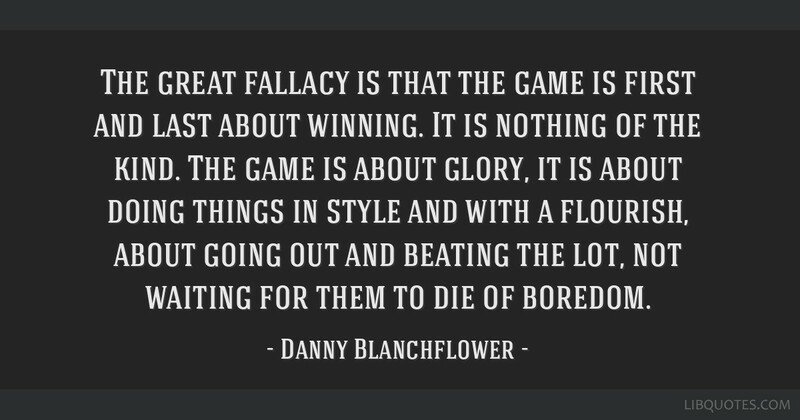 The game is about glory, it is about doing things in style and with a flourish, about going out and beating the lot, not waiting for them to die of boredom.